If you love the delicious taste of micro brewed beers, then making your own home beer might be a good option for you. 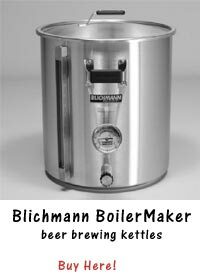 Setting up your own home beer brewing system is simple and inexpensive. In most cases it will not cost you more then two hundred dollars for the entire setup. Unless you want to have an automatic beer brewing machine because that runs up to three thousand dollars. A normal good manual system brews six gallons of delicious beer at a time and can be made with a simply beer making kit. Some of the home beer equipment is already found in the kitchen. To make it, individuals will need rubber spatulas, stirring spoons, sauce pans, and pot holders. In addition, the brew pot may also already be in the kitchen, as long as the pot can hold about sixteen quarts and is made of stainless steel or enamel coated metal, then your all set. If this is not in the kitchen already, then you will need to buy one so that the beer will not end up tasting like metal. 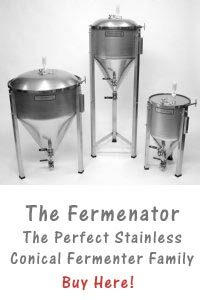 In addition, you will need to purchase a primary fermenter from a brew shop. The fermenter also needs an airlock and stopper so that the carbon dioxide can be let out of the fermenter so that it will not explode during the three to five day process of beginning fermentation, but will also not let any air into the system which will harm the process. Home beer systems also require a food grade five plastic hose for transferring the beer, as well as bottle pushes for doing a thorough cleaning of the bottles, dark glass beer bottles, bottle tops and a bottling machine. All of these supplies should run under two hundred dollars total, so although it is a lot of supplies, once bought, the individual is ready to make beer at any time. And for even less you can buy a beer brewing kit with everything above bought all at once. When you have all the equipment for making home beer, then you will need to choose a beer package, which contains all of the major ingredients for making home beer other than the fermentable materials. Buying a beer kit is a good idea for beginning beer makers since it reduces the chances for error. But most advanced beer makers also use kits because they are simple,reliable to use and very tasteful. If you buy a good package fermentable ingredients are also included like brewer’s sugar, and dry malt extract, demerera sugar and liquid malt extract.